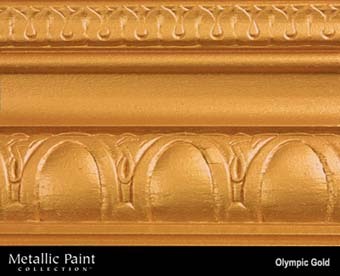 DiscountPaint.net :: MANUFACTURERS :: MODERN MASTERS :: Metallic Paint Collection :: MODERN MASTERS METALLIC PAINT 92005 ME-659 OLYMPIC GOLD SIZE:1 GALLON. ZINSSER 00301 3LB CUT BULLSEYE CLEAR SHELLAC SIZE:1 GALLON. GARDNER GIBSON 0345-GA PLASTIC CEMENT SIZE:5 GALLONS. OLD MASTERS 80204 GOLDEN OAK GEL STAIN SIZE:QUART. KRYLON 7099 SNAP & SPRAY PAINT CAN HOLDER PACK:12 PCS. KRYLON 2518 SPRAY FUSION FLAT WHITE SIZE:12 OZ. SPRAY PACK:6 PCS.